The Oni in Japanese culture is a spirit, ogre, or demon with horns. 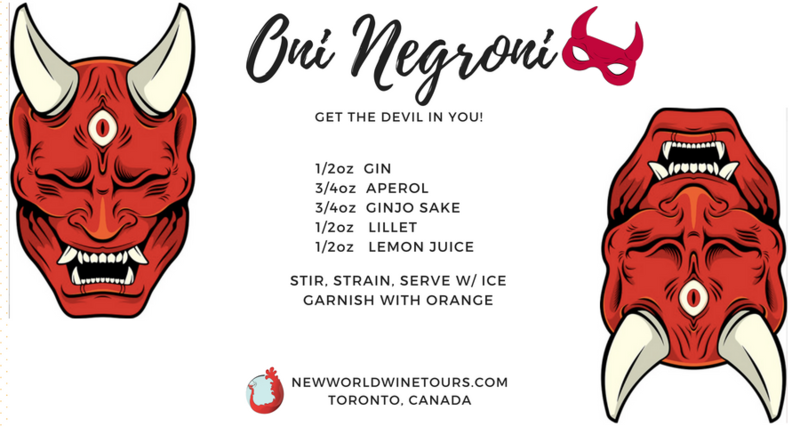 We could not resist the name ‘Oni Negroni’ and had to find a way to show off the signature orange, fiery, colour of the negroni while still managing to make it light enough to taste the sake. We opted for Aperol and Lillet to replace Campari and Vermouth. Hopefully you find the result devilishly delicious.